Number one in 1972...number one in 2010? 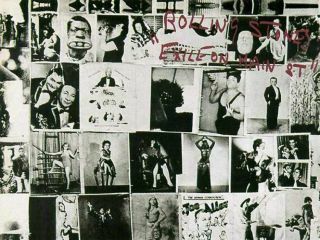 The Rolling Stones' reissue of their classic 1972 album Exile On Main St is set to hit number one on the British charts. If so, it would be their first number one since 1994's Voodoo Lounge. According to Martin Talbot, managing director of the Official Charts Company, the Stones, at mid-week point, faced rather stiff competition from Faithless, whose album The Dance was only 1,000 copies behind Exile. Still, the reissue, which includes a mixture of unreleased outtakes and incomplete tracks, was proving to be most attractive to Stones fans, he said. "The Stones may not be at their creative peak any more," Talbot told The Guardian, "but this album is a reminder why they are legendary. It underlines everything that has made them a force to be reckoned with 40 years after they formed." Make that close to 50 years, but who's counting? Read MusicRadar's comprehensive track-by-track review of Exile On Main St here.